Matt Smith yesterday (October 12) cemented his place in Doctor Who history at a new 'walk of fame' style ceremony at The Doctor Who Experience in Cardiff. The hand prints will be used in a new exhibition which has been created to celebrate the 50th anniversary of the show. 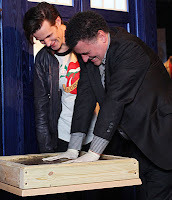 Both Smith and current showrunner Steven Moffat attended the event with Moffat also providing his prints. The exhibition honours past and present stars of the show and will feature a collection of new props, such as captured and chained Weeping Angels from 'The Angels Take Manhattan', and the costume of latest companion, Jenna Louise-Coleman, from the episode, 'Asylum of the Daleks'. 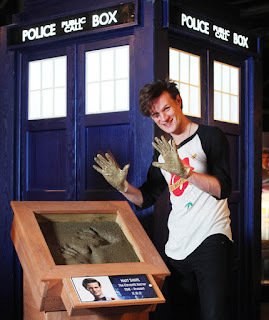 The Doctor Who Experience also takes visitors on a fantastic 3D adventure as they head through a crack in time to help The Doctor. Tickets can be bought from here. 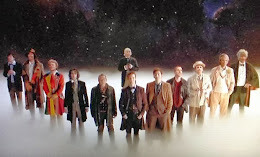 More 50th anniversary news coming your way soon!